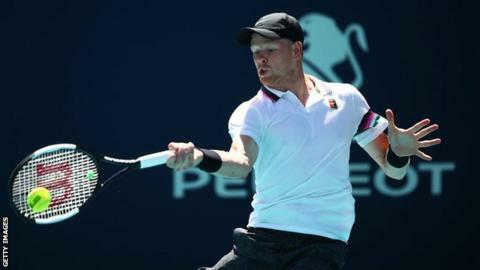 Britain's Kyle Edmund will play Jo-Wilfried Tsonga in the last 16 of the Grand Prix Hassan II in Marrakech. Edmund lost to Spaniard Pablo Andujar in last year's final - his first at ATP level. Britain's Jamie Murray is top seeded in the men's doubles alongside John Peers. They start their campaign against Denmark's Frederik Nielsen and the Netherlands' Matwe Middelkoop on Tuesday. World number three Alexander Zverev is top seed in the men's singles and faces Uzbekistan's Denis Istomin in the first round.